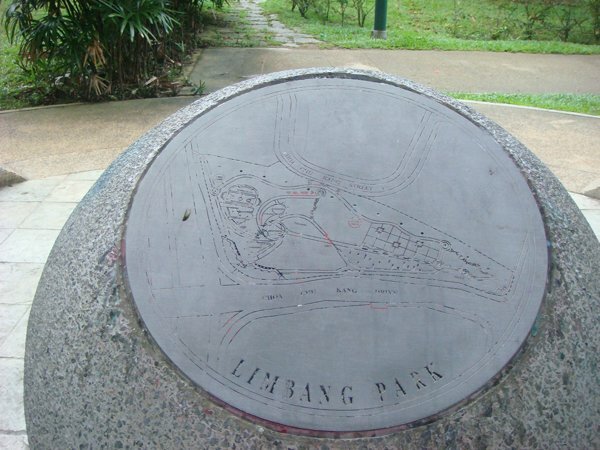 The Limbang Park is not very known, it seems not even to figure on the National Park Board web site. 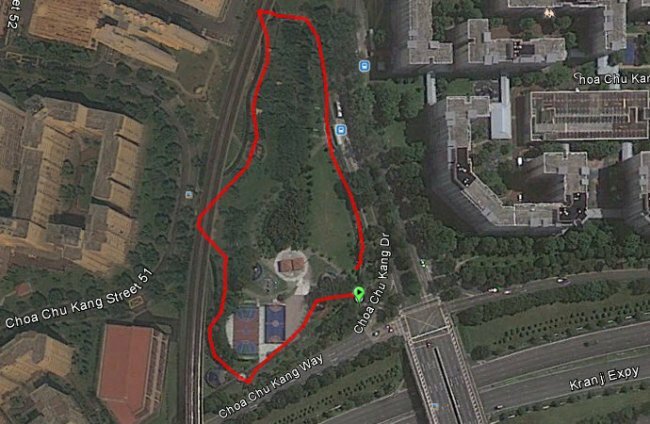 Squeezed between Kranji Expressway, Choa Chu Kang Drive and the MRT track, it is rather small and may not be suitable for long distance runners. However, it has a nice flat track for practising interval and other short distance training. There are distance measures every 100m on the track, and one can find a few gym facilities along the way. A signboard even displays a running program and timings for a 2.4km loop to measure your performance against Singapore National Service men standards. By public transport: The closest MRT station is Choa Chu Kang, with a short walk along Choa Chu Kang drive from there. 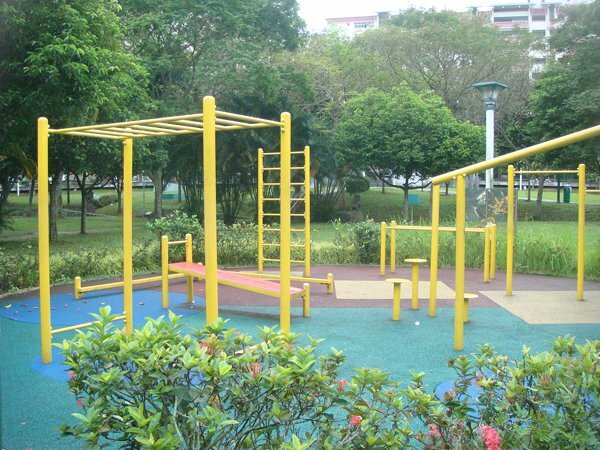 Or take the bus 307 from the MRT station and alight directly opposite the park (stop at blocks 702-704). By car: It is exit 3 off Kranji Expressway. There seems not to be a dedicated parking lot. It is a small 600m loop, all on asphalted track. Just follow the distance markers every 100m round the park. It is all flat. Four rounds of the track equal to 2.4km which allows to measure your performance against Singapore NSmen standards. There a quite a few gym facilities around to complete the training. Best time as always in the morning. There are no specific opening times and the path is lighted in the evening. You can always see a few runners and walkers on the go but the park is really not very crowded. 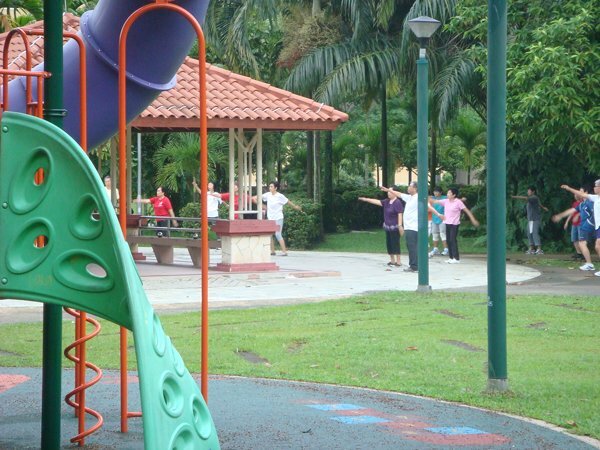 At the central place of the park you may see groups practising tai chi or other exercises. 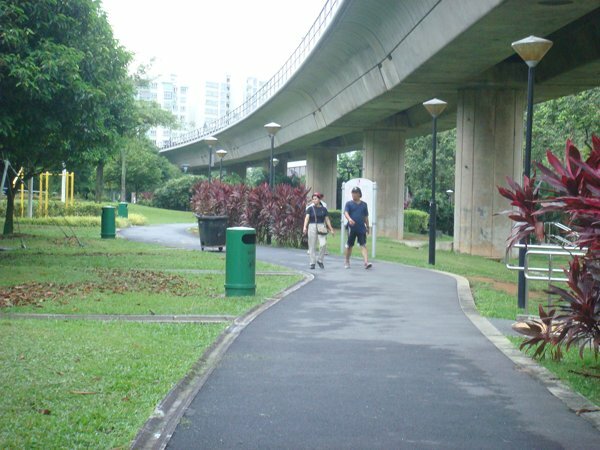 For friends of longer runs, the Choa Chu Kang park is nearby (just across the Kranji Expressway). It offers another running track, slightly bigger. 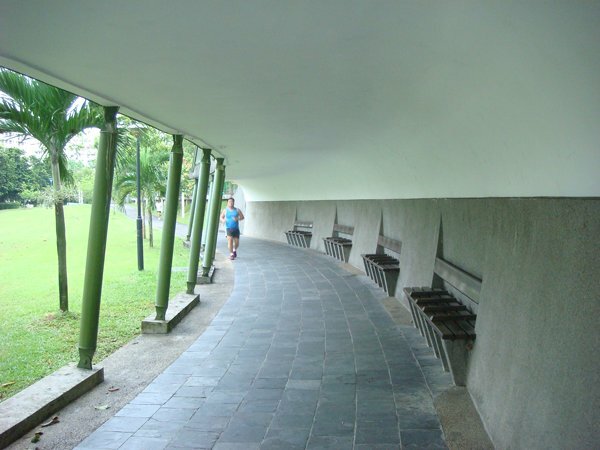 It is also not very far to the Pang Sua Park Connector (via Villa Verde). Water point: Haven’t seen any.